Fall 2003 marked the beginning of a new era at the University of North Texas. The 138,000 sq. ft. Pohl Recreation Center offers students, faculty, staff, and alumni, a healthy, safe environment, promoting recreation and fitness. 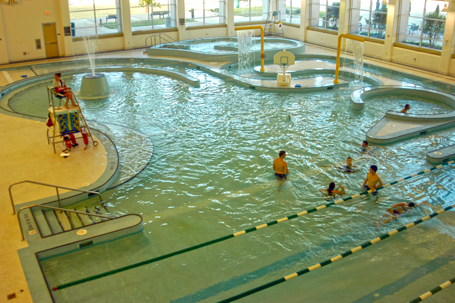 The Pohl Recreation Center provides aerobics; outdoor pursuits; swimming; weightlifting; various club sports; and informal participation in basketball, indoor soccer, volleyball, and badminton. The team of Counsilman-Hunsaker and F&S Partners designed this state-of-the-art swim complex, which provides both fitness and recreation programming for students.